Today I have an extra sparkly manicure to share with you, I wore it last week but didn't have a chance to share it with you yet. This festive and shiny look was easy to achieve thanks to these two great polishes I have recently tried and was very impressed with. For this manicure I used OPI Miss You-Niverse as the base, it's a gorgeous dark plum creme which I only needed one coat to achieve full opacity. 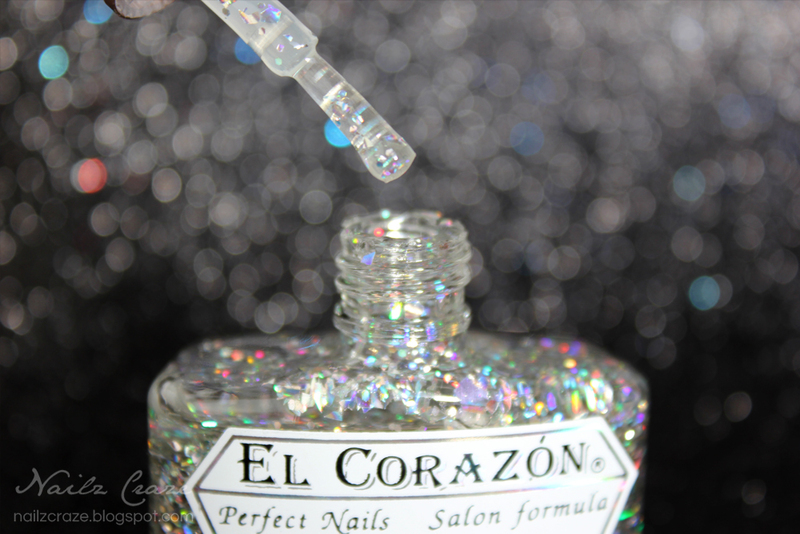 Over this dark and rich color I layered one coat of this spectacular glitter by El Corazon -Top Fireworks №421/8. 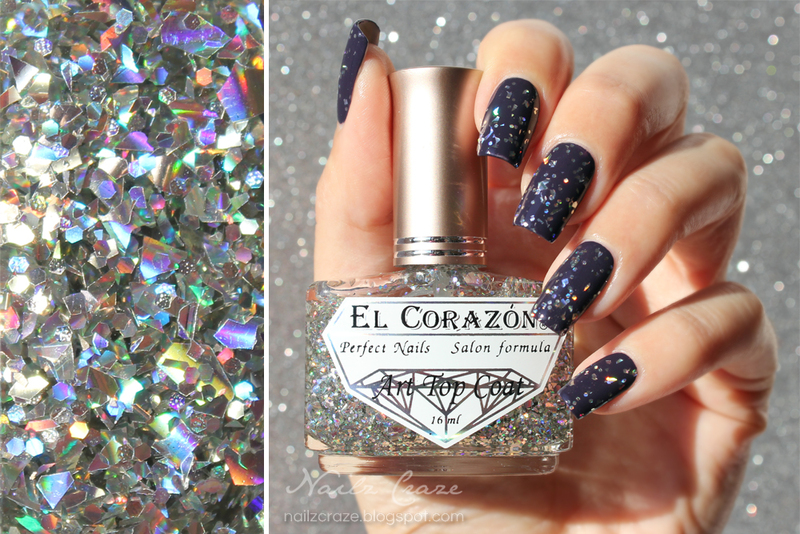 El Corazon -Top Fireworks №421/8 is a silver holographic glitter top coat, consists of shredded glitter and small hex glitter in clear base. 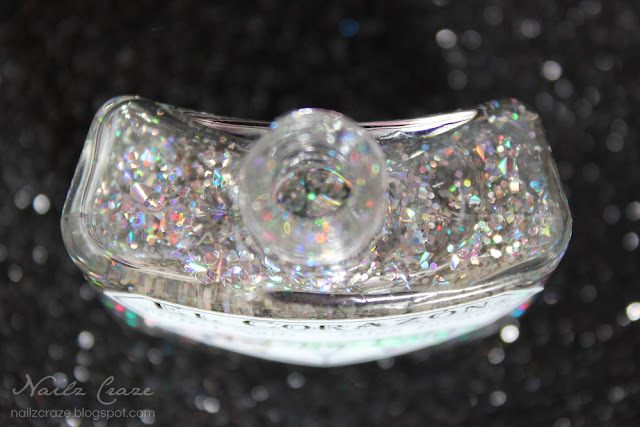 This polish contains a generous amount of glitter which makes it very easy to apply evenly with a few strokes. Unlike other shredded glitter top coats I've tried before, this one was relatively smooth even before I applied a top coat. The glitter was so sparkly and beautiful, even in shade. I was so impressed by this polish and it's amazing effect, believe me it's even prettier in person! Beuatiful polish and your gorgeous photographs make it justice! Lovely!!!! I am so glad I ordered that OPI, it looks gorgeous with a glitter on top :)!